Hands-on learning is engaging and entertaining. Math is a vital skill for kindergarteners, but it's challenging to come up with entertaining ways to reinforce concepts learned in the classroom. Skip the practice worksheets and plan hands-on activities with your 5-year-old. She'll be more interested and engaged, and she'll be more likely to remember what she's learned. 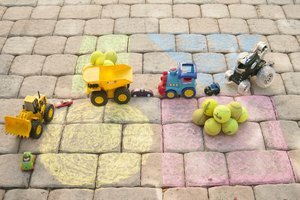 Sorting objects by various characteristics is a crucial math skill that teaches young children that items have different shapes, sizes, weights and other properties. Give your 5-year-old paper shapes cut out of construction paper and ask her to sort them by shape and then by color. Shaped buttons are another effective sorting object. Ask your 5-year-old to sort silverware, clothing or colored leaves as more interesting ways to reinforce the concept. Encourage your child to find objects to sort on her own, and she'll get even more practice. Patterns exist everywhere in your child's world, and noticing them is a powerful way for your 5-year-old to learn early math skills. Use paint samples as one simple way to make patterns with your child. Use two colors to start, alternating them. Ask your child to finish the pattern using additional paint samples. As your child gets the hang of making patterns, increase their complexity. Use other objects as well. Beads, toys and scraps of fabric are additional tools that teach your child patterns. Encourage your child to create her own patterns as well. Most 5-year-olds aren't interested in doing math worksheets, but using hands-on objects can teach simple adding and subtracting skills. Place five pennies between you and your child. Ask her to count them, then place three more pennies next to the original five. Have her count how many you added and then count how many there are all together. 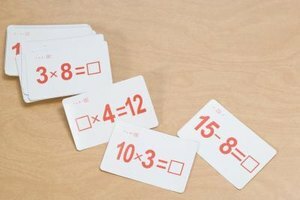 This teaches your child that increasing the number means that she's adding. Do the same with subtraction. Use the original five pennies, but this time take away three. Ask your child to count how many you removed and how many are left behind. This teaches your child that taking objects away means she's subtracting. Repeat using different quantities of pennies. You might also use other objects such as crayons or small toys. Count whatever you can find such as apples at the grocery store or cars in the parking lot. 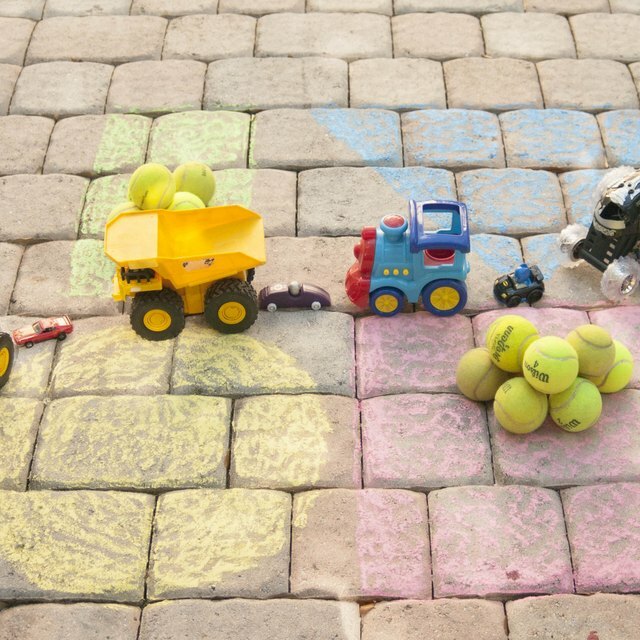 Point out different objects and ask your child to tell you what shape they are. Encourage your child to find patterns in nature as you play in the park or take a hike. Cook with your child to introduce measurement concepts. Let your 5-year-old paint numbers with finger paint or create numbers out of clay. The more exposure your child has to these mathematical concepts, the more successful she's likely to be in the classroom. Ipatenco, Sara. 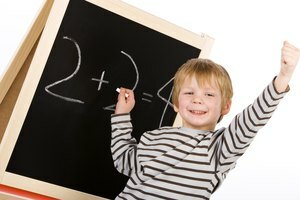 "Math Skills Activities for 5-Year-Olds." 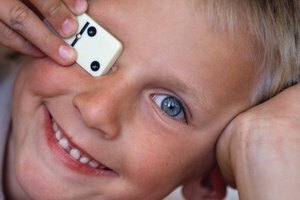 Synonym, https://classroom.synonym.com/math-skills-activities-5yearolds-44681.html. 26 September 2017.